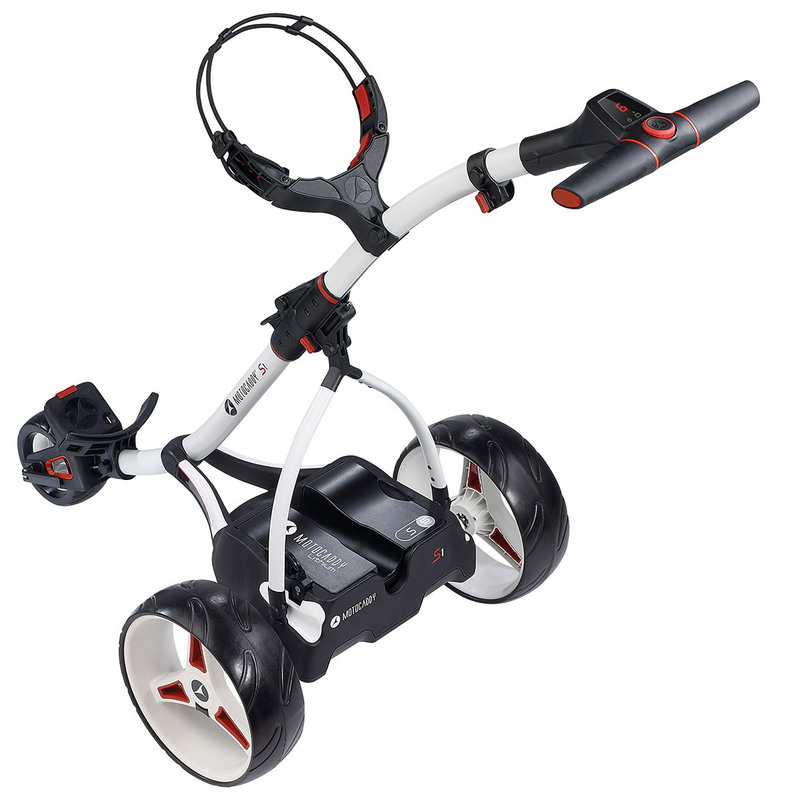 The Motocaddy S1 electric trolley has been designed specially for golfers, thanks to its lightweight design, easy to fold mechanism and lightweight lithium battery. Getting around a golf course has never been so simple. This superb trolley is made from aluminium and weights 8.9kg. 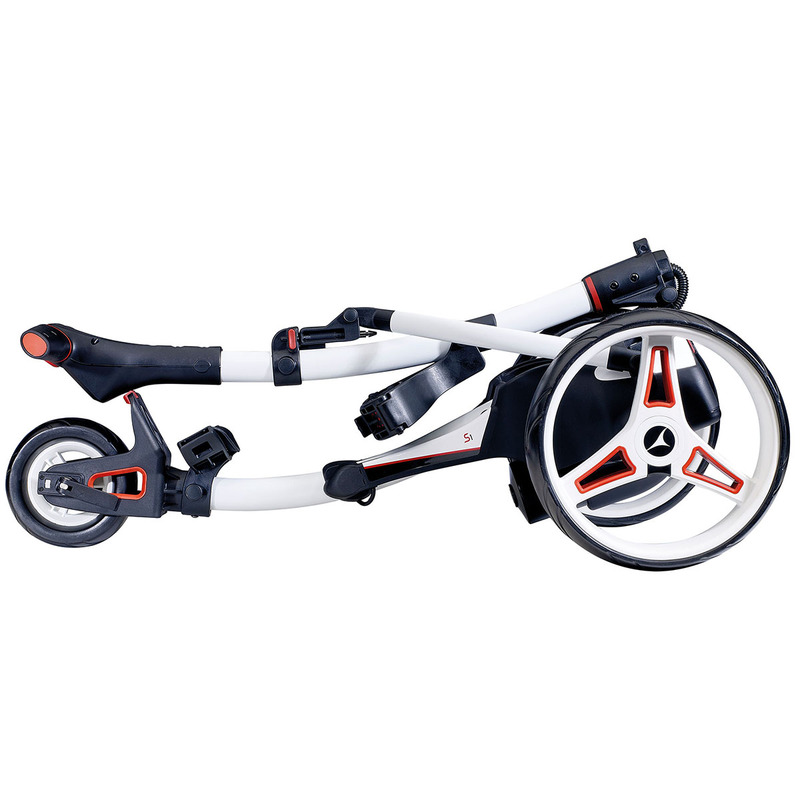 It has been designed with a QUICKFOLD mechanism to made it very quick and simple to unfold and fold back to its compact position for storage. Low-profile wheels keep the trolley well balanced on the moved. An ergonomic handle is combined with a simple to use digital dial. This dial features 9 speed settings so you can control the speed with ease. The digital screen also provides battery a battery indicator so you can see when it needs charging. The whisper quiet motor (200w) keeps noise levels to a minimum to prevent and distractions on the golf course. 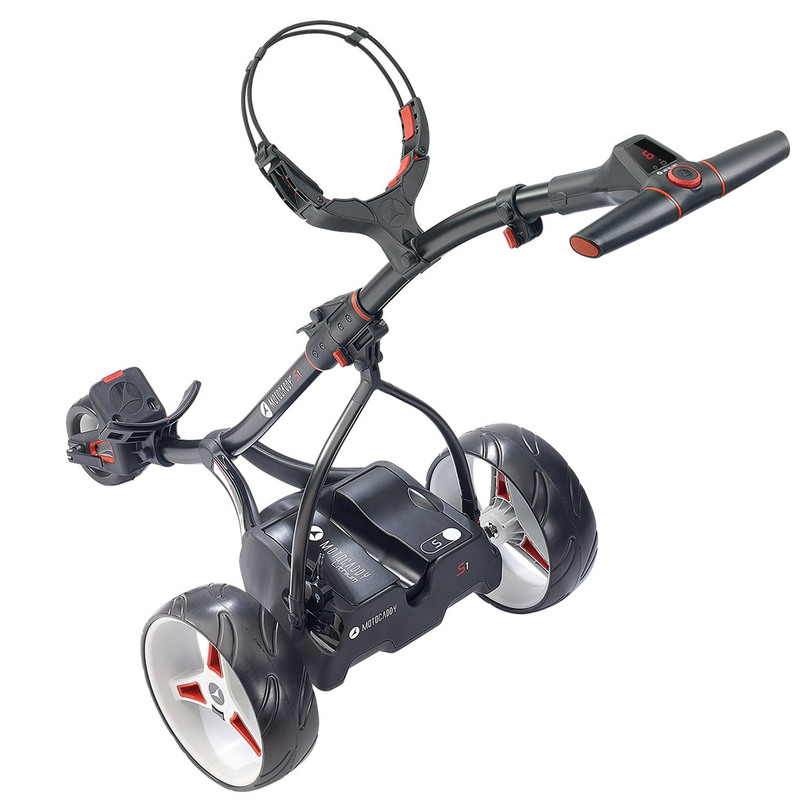 This trolley is also EASILOCK compatible with EASILOCK Motocaddy trolleys, while the universal battery tray makes it easy to swap batteries when needed. All Motocaddy and LitePower lithium battery chargers now come with ONLY a UK charger lead. “This battery will complete 36 holes on a Motocaddy single motored trolley when used in normal conditions (however this is not guaranteed). Conditions such as trolley efficiency, excessively long or hilly courses, very wet fairways, unusually heavy golf bags or charging USB devices may reduce the range of this battery. Motocaddy encourage users of Lithium batteries to top-up between rounds whenever possible. The battery is not designed to complete 18 holes over consecutive days on a single charge. Battery capacity will reduce over time and can be affected by frequency of use and charging conditions.